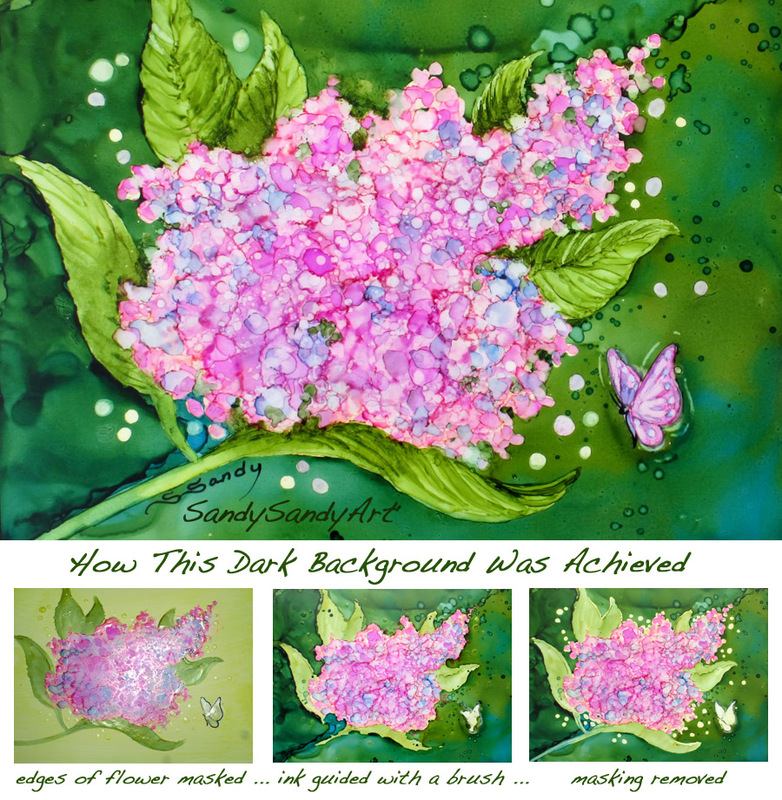 *SANDY SANDY ART*: Awaken The Joy! awaken joy in creative expression and knowledge." Getting excited about this weekend's Spring Alcohol Ink Workshop here at the Sandarosa. I have done numerous test demos, trying to whittle my time down to 30 minutes. Here are the steps taken to achieve the dark background on this one. "I'm convinced that the best way to learn is by teaching." Have a great weekend and Happy Spring!